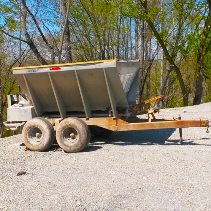 Spreads wet or dry lime up to 40 feet wide, with a 5 ton capacity. Tractor requirements: min. 50 HP. 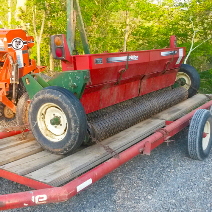 Kuhn-El 62—- 5’5″ power tiller – tractor requirements takes a 30-65 horse – makes quick work of all your tillage needs. 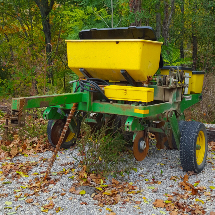 This ground driven, rolling-tined implement helps eliminate compaction in the feeder root zone, with little disturbance of the surface. Tractor requirements: minimum 50 HP. 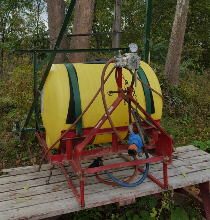 Attaches to your tractor with 3-point hitch, boom width is 21 feet, and a spray wand is available for taking care of fence rows and other brush. 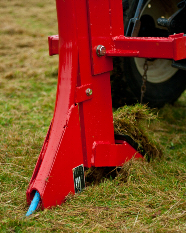 Tractor requirements – minimum 25 HP and 3-point hitch. 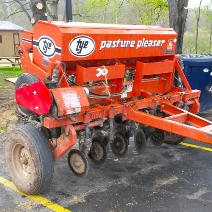 Plants two 38” rows, and can be used as “no-till” or on conventionally tilled fields. 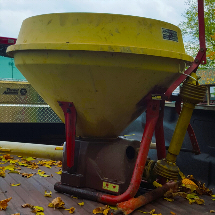 Features plate-less seed meters to plant any size seed at virtually any rate, and a dry fertilizer box that holds up to 500 pounds. 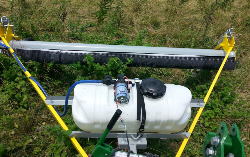 Tractor requirements: minimum 25 HP with one set of remote hydraulic lines. Delivery and set-up available. 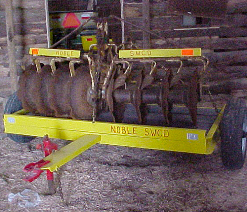 Seven foot pull-type “no-till” seeder for grass, legumes and small grains. 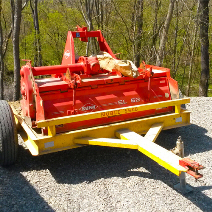 Does an excellent job in sod after spraying down, or as a frost seeder in the Spring. 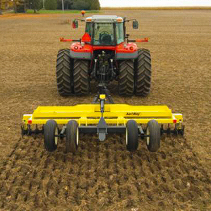 Tractor requirements: minimum 55+ HP with one set of remote hydraulic lines. 4×4 recommended. Delivery and set-up available.